With the entire Southeast Michigan area in the midst of a severe economic downturn, increased even further by the auto industry collapse, Co-op Services Credit Union wanted to do something to help our hard-hit communities. The task was to come up with a program that could make a difference in these affected areas. The challenge included determining how to support the primary objective of helping the community, while also increasing brand exposure for the credit union. Our goal of creating a community-wide initiative was challenging. And with limited financial resources, we knew that creativity was the key. 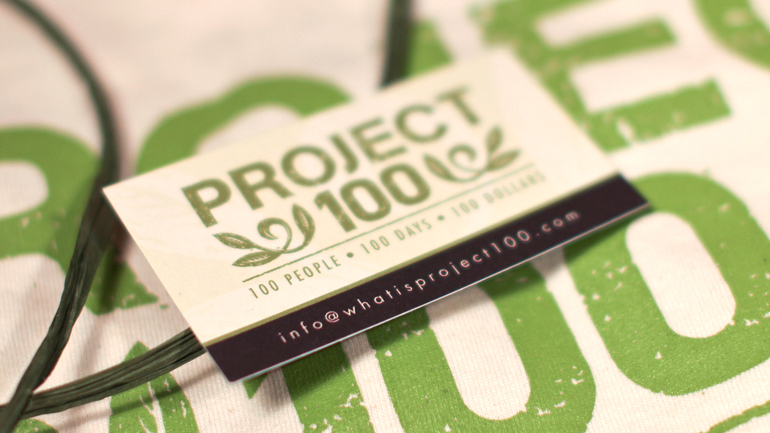 The solution became Project 100: A program designed to encourage people to give back to their community. It was a simple idea; use our limited resources to spark a greater change to continue throughout the area. The credit union would form a team that would go out to public places and randomly hand out $100 dollar bills. The team would give 100 dollars to 100 people over 100 days. When people received their money, there were no strings attached. All we asked was that they do something kind to help others and give back in their communities. What we didn't know was that we were igniting a spark for change that would grow far beyond anything we ever expected.